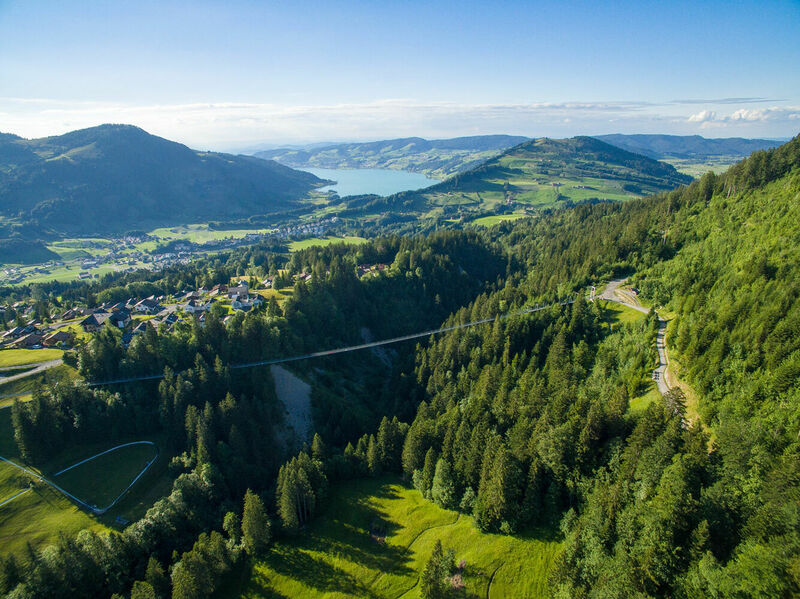 One of the world’s longest pedestrian suspension bridges, the Raiffeisen Skywalk is sure to give you that floating feeling and a rush of adrenaline. At an altitude of up to 58 metres, the 374-metre long bridge spans the wildly romantic Laui Gorge. Float along the treetops and enjoy the splendid views of the Ägeri Valley and the stunning Alpine peaks. The skywalk is open during the operating hours of the evolving gondola. It can be crossed in one direction with prams and wheelchairs; to return, please take the bridge LOOP trail. Tip: The suspension bridge can be crossed in combination with a hike along the bridge LOOP trail (approx. 45 minutes). 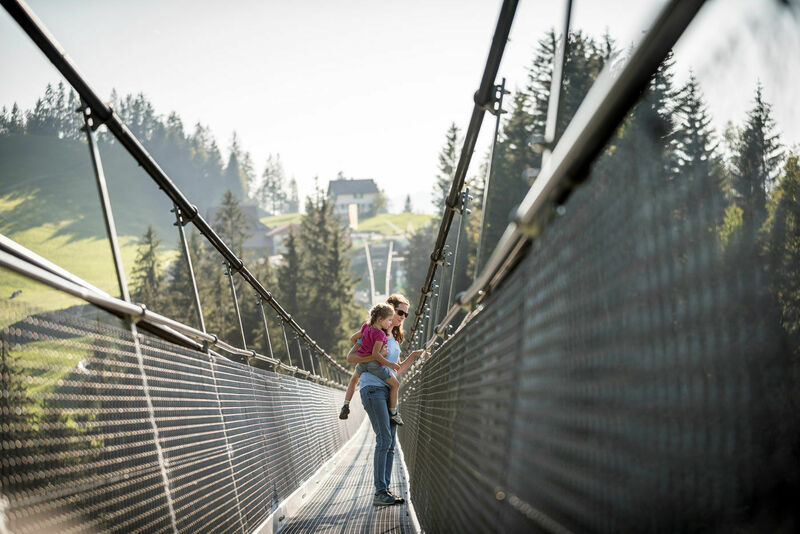 At the opening in 2010, the Raiffeisen Skywalk was the longest pedestrian suspension bridge in Europe. Are you interested in the construction history and the technical details of our pedestrian suspension bridge? Then join a fascinating guided tour of this impressive engineering feat from the year 2010. The initiator of the then longest suspension bridge in Europe will personally talk about the technical facts and the challenges the project faced. We shall be happy to make menu suggestions in one of our cosy mountain restaurants.